What other cultures influenced Greek and Roman architecture? How has Greek and Roman architecture influenced present day architecture? What is perspective and how do I teach it? What other professions / industries include art? 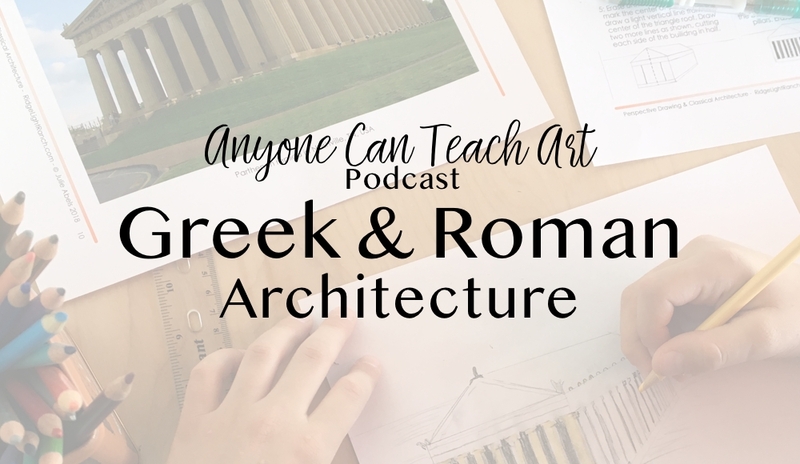 In this episode, we addressed the Egyptian roots of the Parthenon in Greece and the Pantheon in Rome. 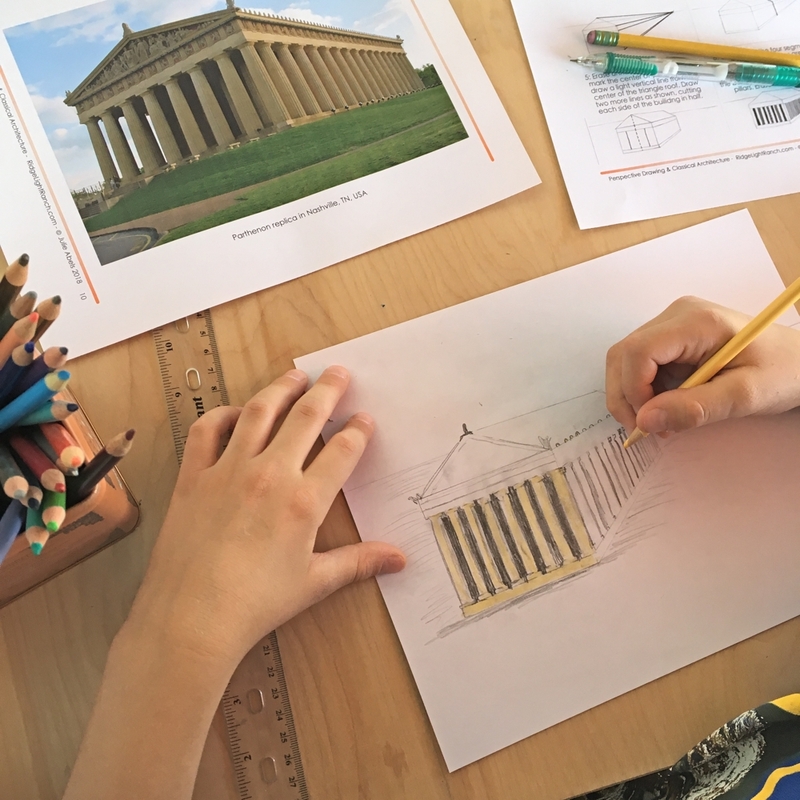 Since we’ll be drawing the Parthenon using linear perspective in our local classroom, we discussed linear perspective and some of the other ways of creating depth in a two-dimensional drawing. Finally, we spent some time chatting about the interesting way art merges with other disciplines in subjects like architecture. I hope my students come away from our lesson on drawing the Parthenon using linear perspective with an appreciation of what an art architecture really is!